No home-cooked meal in Tennessee is complete without a heaping helping of homemade mac and cheese. Let’s face it: noodles slathered in melty cheese is the ultimate comfort food. 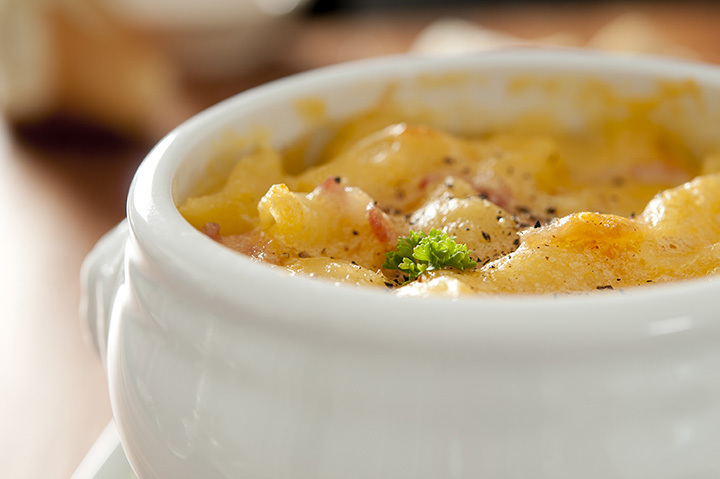 Tennessee is already well known for its southern cuisine and cookin’ every bit as good as your Grandma, so it’s no surprise you can find some of the best mac and cheese in the country here. If you’re in need of a pick-me-up, these 10 best places for mac and cheese in Tennessee won’t disappoint. Some folks know them for their milkshakes, but their true calling is their gourmet mac and cheese. This place is the mecca of all things cheesy, ensuring you can have your way no matter what. Grab some fried mac and cheese bites or build your own masterful mac and cheese creation. Every helping of this amazing side dish is individually prepared and baked to perfection—you might just make an entire meal from it! If you’ve never had mac and cheese for breakfast, then use brunch at Honeysuckle as your perfect opportunity! They’re dishing out several variations on this classic comfort favorite, including a breakfast medley and a pork belly dish. Rest assured that brunch isn’t the only time you can indulge in their delicious mac and cheese—they’re also dishing it out for lunch and dinner, too! Part cafe, part cocktail lounge, the Cafe 4 is an interesting choice for scrumptious mac and cheese. They’ve refined this southern favorite and transformed it into sophistication that tastes every bit as good as it looks. Get it as a three-cheese variety or add lobster to create a filling meal you’ll want to savor. Four words are all the reason you need to take your hunger here: truffle mac and cheese. This unique twist on traditional mac and cheese is unlike anything you’ll find at typical small-town restaurants. This is a true hidden gem in the outskirts of Knoxville, and you’ll be glad to have discovered it. Can a Caribbean-inspired eatery really dish out some of the best of this southern staple? All signs point to yes! Their vegetarian-friendly mac and cheese is a favorite among their fans. Their straight-out-of-Cuba environment pairs well with their tasty food to deliver you a complete dining experience you won’t soon forget. Nothing goes together like country mac and cheese and barbecue, and ol’ Sally is serving up some of the best of both. Fans love the generous helpings they get here, along with some of the lowest prices in town. But don’t think for a second that paying less means a sacrifice in quality—you’ll want to make this mac and cheese a standard for every meal! A seafood place might be the last place you’d think to get great mac and cheese, but when you visit Soul Fish’s it will easily become the first. Fans rave about the downhome service, fresh food, and plenty of variety to suit every taste. By the way, there’s lots more happening here than seafood, so if fish doesn’t suit you there’s plenty of other meals that will! This southern home buffet is dripping in all things comfort food, including their famous mac and cheese. If you prefer creamy mac and cheese over traditional, you’re in luck—this place has the best around. This country store is part of a larger complex that offers an authentic Tennessee experience and includes an ice cream parlor, gift shop, and bakery. As an old-fashioned soda shop, you can expect a strong dose of nostalgia in every visit. They still do things the old-fashioned way here, sending you straight back to a simpler time when things like high-quality and friendly service matter. Mac and cheese is among an all-star lineup of southern comfort foods that will ensure your first visit won’t be your last. Made fresh daily, the mac and cheese here is about as creamy as they come. This is your go-to source for “meat and veggie” plates that taste every bit as good as your mama can make—and yes, mac and cheese IS a veggie in Tennessee! They’re open seven days a week so you can get your fix just about whenever you like.